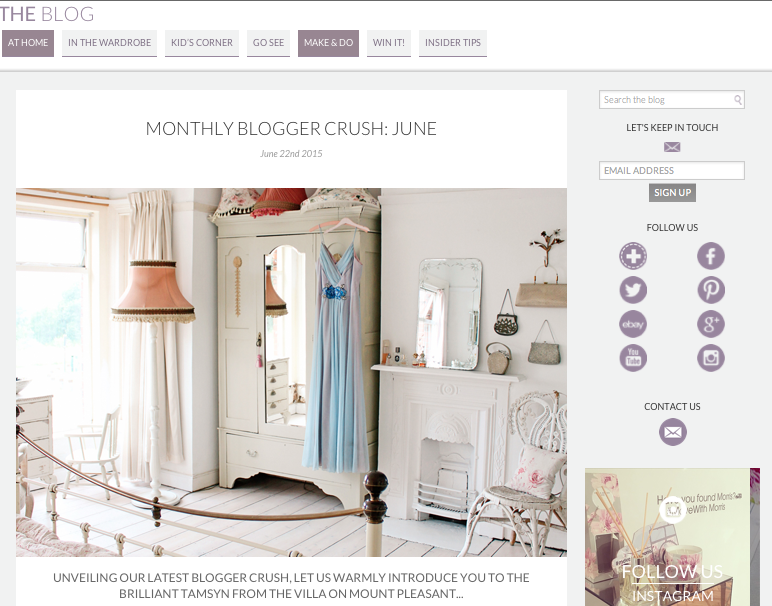 I just want to say a huge ‘thank you!’ to the lovely people at Laura Ashley who have featured me as their blogger crush for this month – I’m absolutely thrilled and so honoured! If you haven’t seen it, you can see it over on their blog here. If you have a browse on their blog, you can see lots of lovely features, interiors inspiration and tutorials, so it’s well worth sitting down with a cup of tea and taking a look! Congratulations, thats brilliant! Your room looks lovely!